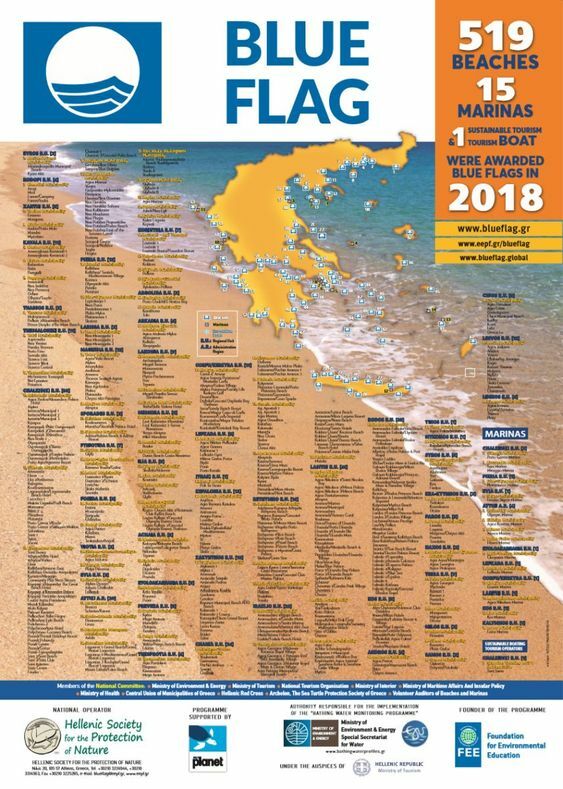 Greece came second worldwide this year in the Blue Flag Beaches list , the quality award list for beaches, marinas and sustainable tourism boats, according to the Hellenic Society for the Protection of Nature (EEPF). With with 519 Blue and the addition since last year of 33 beaches, 3 marinas and one sustainable tourism boat, Greece ranked second on top of the list after Spain (590 beaches) among 47 countries. Fifteen Greek marinas and one sustainable tourism boat were also honored with the quality “Blue Flag” award for 2018. Last year 486 Greek beaches and 12 marinas were honored. Greece’s ranking was announced during a special event on May 9th 2018, held at Astros beach in Arkadia and attended by many tourism representatives of the state and private sector. 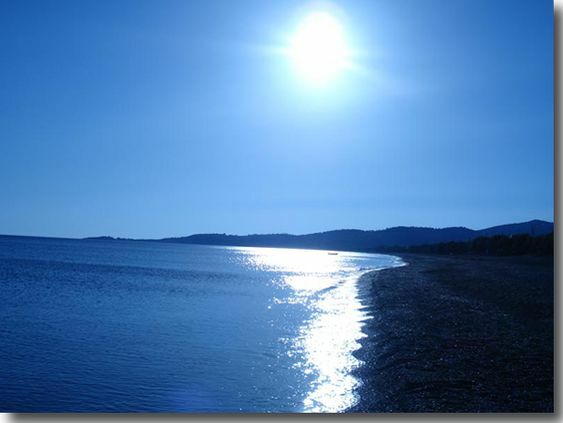 Most of Greece’s Blue Flag awards – 89 – went to beaches in Halkidiki, northern Greece. According to EEPF, 12 percent of the newly honored winning beaches, out of the 47 countries that participated in the program, are in Greece. On a worldwide scale the foundation awarded the international eco-label (blue flags) to 3,687 beaches, 679 marinas and 55 sustainable tourism boats for 2014. According to EEPF, which is the national operator of the International Blue Flags program in Greece, the Blue Flag is the most recognizable and popular international symbol of quality in the world. Since 1987 the award has been given to beaches and marinas that meet the strict award criteria. The beaches not only need to have excellent quality bathing waters. They also need to meet 32 criteria, which refer to cleanliness, organization, information, swimmer and visitor safety, protection of the natural wealth of the beach and coastal area, as well as environmental awareness. The founder and international coordinator of the program is the Denmark-based Foundation for Environmental Education (FEE), with 63 member-countries from all continents. In Greece, FEE is represented by EEPF, the oldest environmental organization in the country, founded in 1951, which organizes active environmental interventions, actions and nature conservation projects. Saliara Beach in Thassos island Greece ,below, may not be found in the awards list , but is the best experience to award yourself, if you manage to arrive there after a rocky road trip on the East of the island . 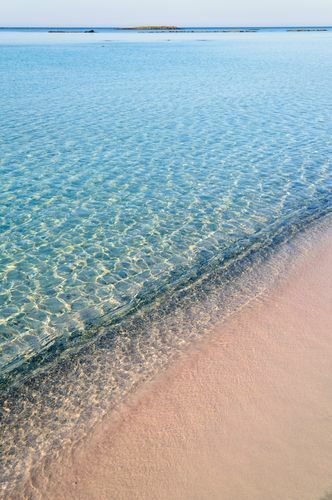 The beaqch is also known locally as alabaster beaches. famous for its rocks similar to the pearl framing beauty of this crystal clear sea.created by nature thanks to quarry that extracts marble just above the beach .The sand mixed with the marble pebbles and the coastline became totally white and impressive.